The constitutional amendment, which state lawmakers certified on Monday, would require state lawmakers to ensure state electoral votes would go to the winner of the national popular vote instead of the candidate who wins the most votes within Ohio. If Ohio’s legislature approves the measure, it would be the 14th state legislative body to pass a bill agreeing to award Electoral College votes to a presidential candidate who wins the popular vote. Multiple states have passed popular vote bills into law recently as part of the National Popular Vote Interstate Compact, a multi-state movement aiming to change how presidential elections are decided by limiting the Electoral College’s power. Thirteen states— Colorado, Hawaii, Rhode Island, Vermont, Massachusetts, Maryland, Washington, New York, Illinois, California, New Jersey, Delaware, and Connecticut— and the District of Columbia have already passed the National Popular Vote Interstate compact. But the compact does not take effect unless the states which agree to the compact’s terms have 270 or more electoral votes— the number of votes needed to win a presidential election. 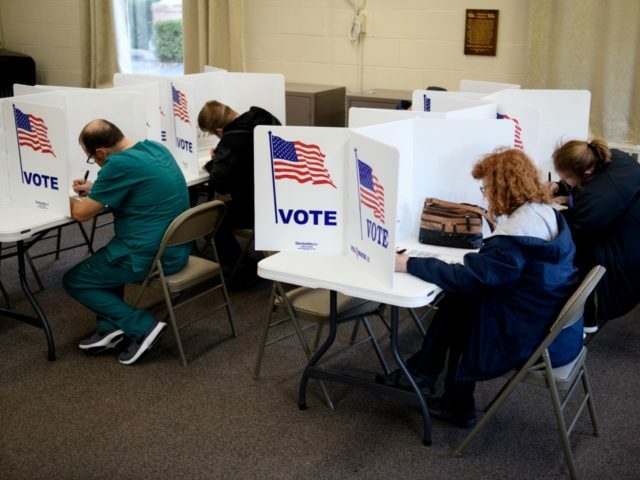 The measure in Ohio’s legislature is headed to the state’s Ballot Board, which will decide if it will include the proposal on the state electoral ballot in the fall.